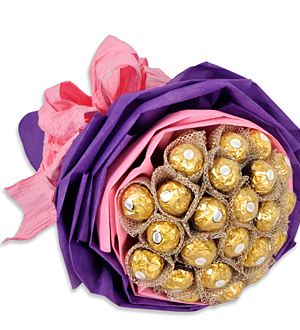 Sweeten someone's heart with a delightful bouquet of Ferraro Rocher elegantly wrapped with matching accessories. Bouquet shown is 24 pieces of Ferraro Rochers. Contact us at sales@gift-lab.com or +603-78830233 for more details.